1/4 C. butter or margarine opt. In a 6 quart kettle, combine tomatoes, peppers, onion, celery, bay leaf, and cloves. Bring to a boil, reduce heat and simmer till tender. 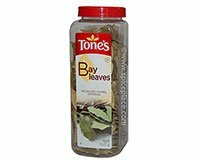 Remove bay leaf and cloves. Run mixture through a food mill to remove seeds. TO PREPARE: Return processed tomato mixture to kettle. Reserve 2 C. Stir together flour, brown sugar, and salt. Stir in cold water and the 2 C. of the tomato mixture. Add all to the pot. Simmer stirring occasionaly, about 1/2 hour. Add butter. TO FREEZE: Divide processed tomato mixture into 4-1 quart freezer containers. Freeze firm. Do not add the flour ,sugar, salt, water, and butter before freezing. To prepare frozen tomato mix, heat 1 container of the frozen mixture in a covered 1 1/2 quart saucepan over low heat till thawed. In a small bowl, stir together 2 T. flour, 2-3 T. brown sugar, and 1/4 tsp. salt. Stir in 2 T. cold water to make a paste. Return all to the pot. Simmer as directed. Add 1 T. butter or margarine.